Manila Doctors is the first hospital in Manila to acquire accreditation from the International Organization for Standardization and has maintained its 9001:2001 certification since 2005. It has been recertified as an ISO 9001:2008 institution starting 2011. Manila Doctors Hospital continues to maintain its ISO 9001:2015 certification by passing the survey of Anglo Japanese American Registrars, (AJA) Inc. last June 2017. ISO 9001 is internationally recognized as providing a framework for a quality management system that can be easily interpreted for all areas of industry and commerce. It provides a framework for monitoring and measuring performance in process and in operations ensuring improved customer satisfaction and sustained efficiency. 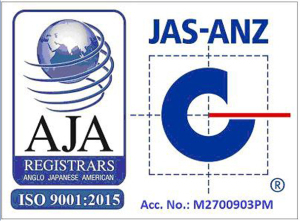 AJA Registrars operates throughout the globe to ensure expertise in operations and customer needs. Accreditation Canada is a not-for-profit organization that is dedicated to working with patients, policymakers and the public to improve the quality of health and social services for all. It aims to bring the best of health care from around the world to organizations in more than 20 countries. ACI works closely with global health and social services organizations to develop a sustainable culture of improvement that betters safety and efficiency, working to save and improve lives. Manila Doctors underwent and passed the three cycles of rigorous evaluation process of Accreditation Canada International in August 2011, 2014 and again in 2017. ACI commended Manila Doctors for its commitment to improve the quality and safety of the services it offers to patients, clients, and its community. Being accredited GOLD by ACI ensures the continuation of the hospital’s adherence to the principles of accreditation in upholding the standard of excellence and quality improvement in its policies, practices, and programs. Manila Doctors is recognized by the International Hospital Federation-World Hospital Congress for two consecutive years in 2016 and 2017. The International Hospital Federation (IHF) is a non-governmental international organization established in 1929, providing an international platform for sharing operational knowledge and strategic experience. IHF represents at the international level healthcare national bodies, in particular major healthcare facilities and organizations linked up with provision of healthcare. IHF is a unique international organization for decision makers sharing the commitment of improving quality and access to care through highly efficient healthcare provision. Manila Doctors received recognition from the International Hospital Federation during the 41st World Hospital Congress. For 2017, its entry “Climate Impact Mitigation Actions: An Eleven Year Journey of Manila Doctors Hospital in Institutionalizing Climate Change Adaption” competed against 231 entries from 28 countries which includes ministries of health, health authorities and public research hospitals. The entry highlighted Manila Doctors’ strategies in reducing its carbon footprint by engaging the internal stakeholders through a long-term and sustainable climate change mitigation actions. 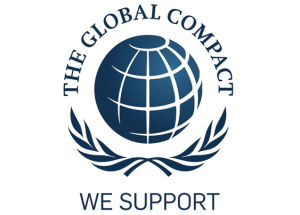 The only hospital to become a reporting member of United Nations Global Compact (UNGC), Manila Doctors Hospital commits to support the ten principles of the Global Compact on human rights, labor, environment and anti-corruption. Furthermore, it uses these principles as part of the strategy, culture and day-to-day operations of the Hospital and engages in collaborative projects which advance the goals of the United Nations. UNGC is the world’s largest corporate citizenship and sustainability initiative with more than 12,000 participants including 8,000 businesses in 145 countries.